So much yarn, so little time. : Let's meet...Foreverfoxed! Am I right? Cats or dogs? This first photo relates to niftyknits' childhood. 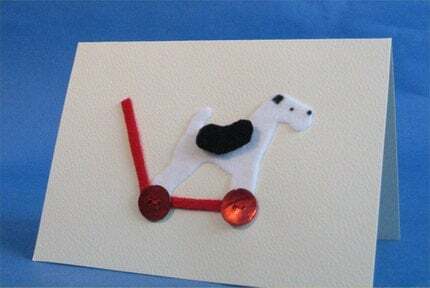 My sister wanted a doggie-on-wheels, but couldn't explain which type of dog and was quite adamant it had to be the right type. Eventually she spotted one in the street and shouted to all and sundry: "That one Mummy! I want that doggy, but with wheels on!" Live long and prosper. Need I say more? Fruit in the morning and chocolate in the evening. What brought you to Folksy? Tell us about your shop. Do you sell anywhere else? 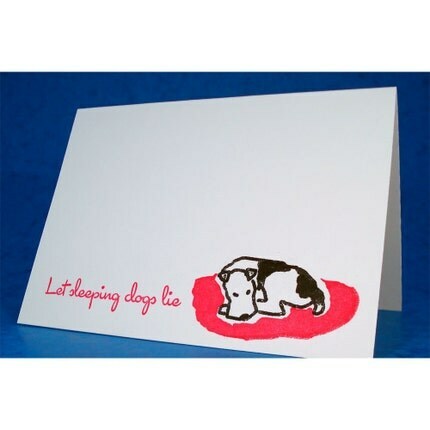 I have my own website selling my dog inspired greeting cards http://www.foreverfoxed.com but discovered Etsy last year. I saw various mentions of Folksy in the Etsy forums and finally took the plunge and joined in December 08. I've found it a very friendly place. 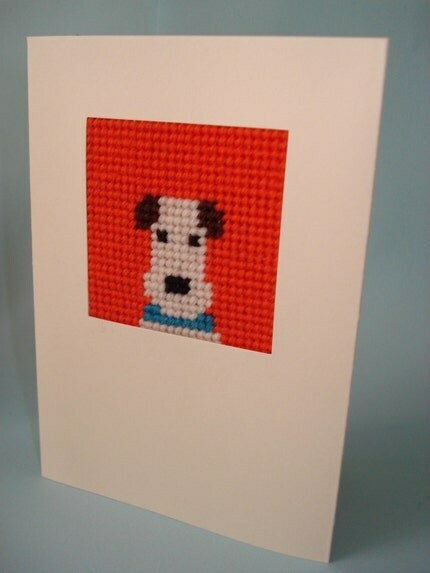 Ooo, it's usually the last card that I've made so it's the Flying Fox Terriers card, inspired by the Beswick ducks that used to grace our living room wall. What has been the most useful lesson you’ve learnt (about online selling) so far? You just have to keep plugging away. Promote, promote, promote! I need to find more time to actually make more cards. 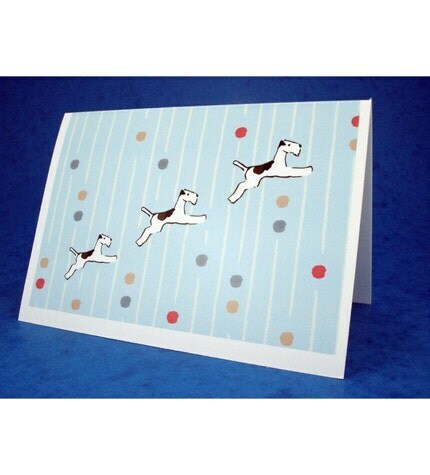 Ideally, I'd like to include more terrier breeds and create more occasion cards. Reminding myself how to knit. Use SocialMarker.com! It saves valuable time in bookmarking your stuff. I don't think my knitting skills are anything for you to worry about; I'm still at the "knit one, purl one" stage! Thanks for showing me the doggy stuff. 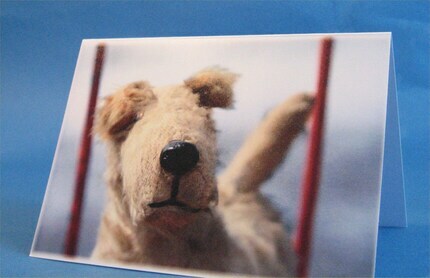 Lovely interview, the doggie on wheels has made me all nostalgic as I used to have one of them when I was a child!